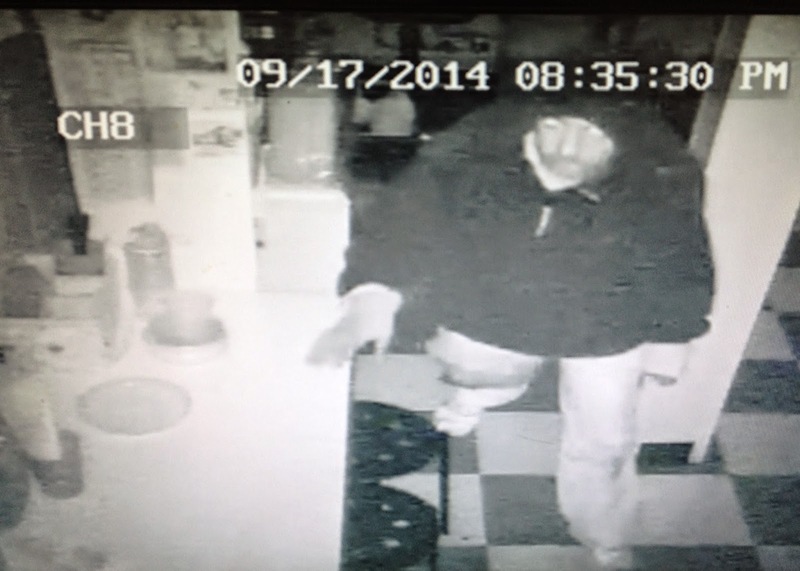 On Wednesday, September 17, 2014 at approximately 9:35 p.m., the Absecon Police responded to Rita's Water Ice located at 453 White Horse Pike for a burglary. The accused was recorded on surveillance video cutting telephone and cable wires to the building before forcing entry to the interior by prying open a side door. Once inside, the suspect moves throughout the building before exiting with a small amount of money (the exact amount is not being disclosed). Note: the time depicted in the still photos of the surveillance video is one hour behind the actual time. The suspect is described as a white, middle-aged male standing approximately 5'5"-5'8" tall and having a medium build. He is believed to have facial hair and is seen wearing a loose-fitting sweatshirt and sweat pants, along with sneakers and a black winter cap. 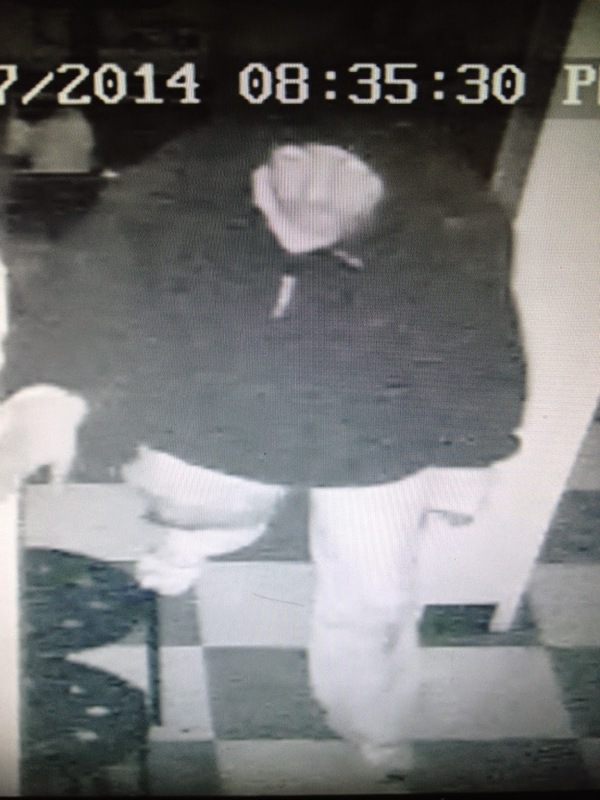 The Absecon Police Department is investigating several other commercial burglaries in which telephone and cable wires were cut before forced entry was made into the businesses. A similarly described male is seen on video surveillance in these other cases as well, and he is believed to be the same actor. Anyone with information or who may be able to identify the accused is asked to contact Detective Mitch Levin of the Absecon Police Department at 609-641-0667 x: 217. Information can also be submitted through Atlantic County Crime Stoppers at 1-800-658-TIPS (8477). Atlantic County Crime Stoppers is a non-profit organization, which offers cash rewards for tips leading to the arrest and indictments of persons involved in a crime.